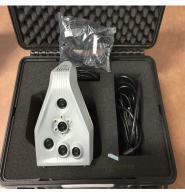 For Sale Faro Focus S350 3D laser Scanner has been used for product demonstrations, Manufacture 2017 comes Calibration Certificate. It is in excellent condition and Like new. 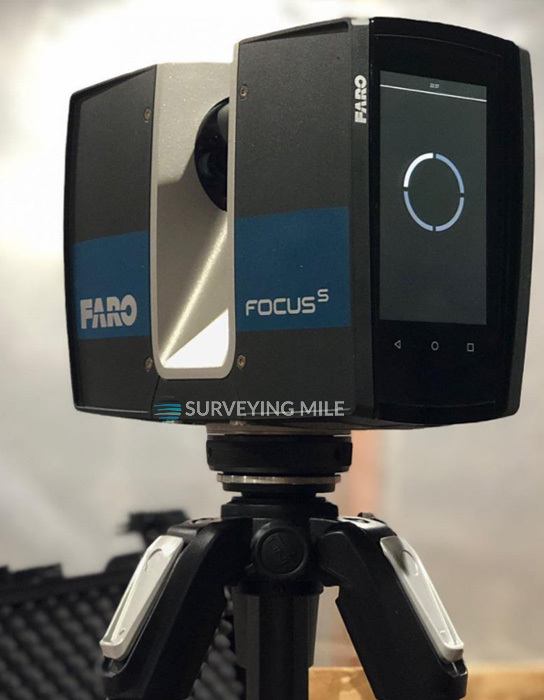 FARO's powerful FocusS series with ultra-high accuracy and ingress protection with HDR Photography, GPS, Compass, Altimeter (Barometer), Dual-axis Compensator, WLAN, Accessory Bay, IP Rating 54, On-site Compensation Functionality. The FARO FocusS 350 is specially designed for outdoor applications due to its small size, extra light weight and extended scanning range. The FocusS 350 provides scanning results even in challenging environments, narrow job-sites, dusty or humid areas, in rain or direct sunlight applications. An on-site compensation tool allows data quality optimization on-site. Integrated GPS & GLONASS receiver enable easy positioning. HDR imaging and HD photo resolution ensure true-to-detail scan results with high data quality.